Bringing home a new pup becomes complicated for one visitor. Dilemma: Is Traveling with New Pup an Option? 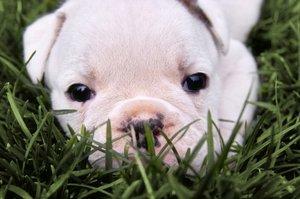 I am getting an Old English Bulldog on 12/15. He will be with me at my house being crate trained until 12/20. I then have to fly home for the holidays and will not be back until 12/28. He is small enough for in-cabin travel. Is this a good idea, or should I board him (even though he's only 7 weeks old)? Please help, as I am a first time dog owner. Congratulations on getting your first dog. I just know you're going to love having a canine companion once all the basic puppy training is complete. Honestly, you're talking about putting this puppy through quite a few major changes in the span of a few weeks, and this could really create a lot of stress. It will also completely disrupt the puppy's training, and consistency is the key to successful training. My other concern is that your dog won't have all of his shots, so his immune system will be somewhat compromised. You also need to consider that your airline will likely not allow you to bring the pup on the plane at all. Most dog air travel requires preparations made six months in advance and a health certificate from your vet certifying your dog is current on all of his shots. This includes a rabies vaccination that your dog is currently too young to receive. With so many obstacles in play, here is what I suggest. Discuss the situation with your breeder, and ask if he/she is willing to board the puppy for you until you return from your Christmas trip. Offer to pay for the vaccinations your puppy should continue to receive during your absence, as well as any boarding fees negotiated between you and the breeder. Most caring breeders would be willing to agree to a deal like this in order to get the pup off to a good start. If this doesn't work out, perhaps you could enlist a friend to care for the puppy while you're away. This isn't the ideal situation because it will still be confusing for the puppy, but taking a partially unvaccinated puppy to a boarding kennel isn't really an option either. Thanks for your question, and I hope that one of these suggestions works out for you.